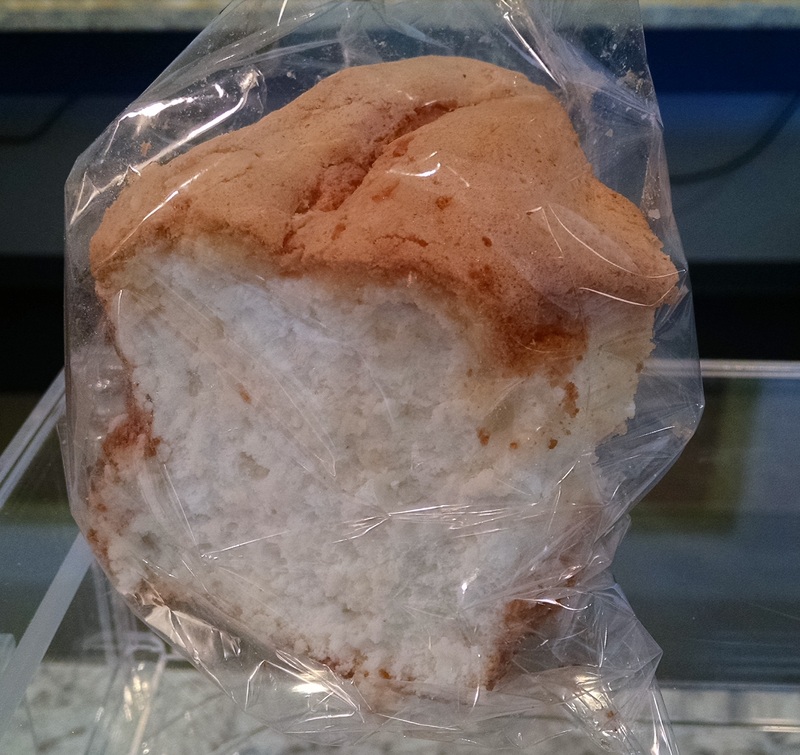 I am regretting not buying that last piece of angel food cake. I wouldn’t have eaten it, no – I would have built a shrine to it at home. A little crown, a little throne, some gold coins – I don’t know. I’ve never done this shrine thing before (as far as you know). Why a shrine? 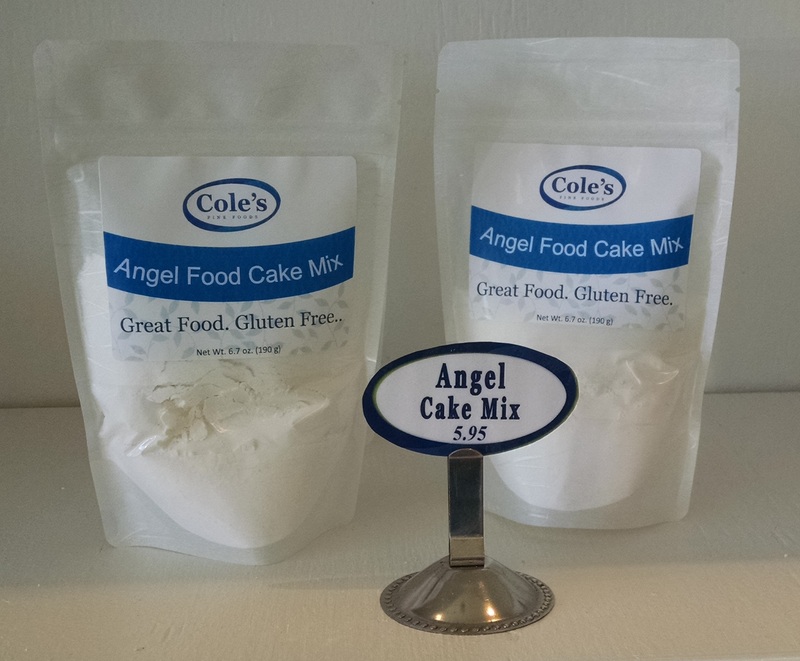 Because one thing the folks at Cole’s have down pat that I have not experienced in all my years of eating gluten-free is an amazing and superior consistency that makes it indistinguishable from food with wheat flour in it. Jeanine, the proprietor, must have thought I was nuts, because honestly, when I bit into the lemon bar, it brought tears to my eyes. No, not because it was too tart, but because, in nearly 4000 days, I have not tasted something that incredible that was gluten-free. (No, I’m not an emo. I used to be a foodie. Then food allergies came.) The dinner rolls and bread also had phenomenal consistency not usually found in gluten-free food. The flavor and consistency of the Italian herbed bread knocked my socks off. Looking in the baked good case nearly made me drool. 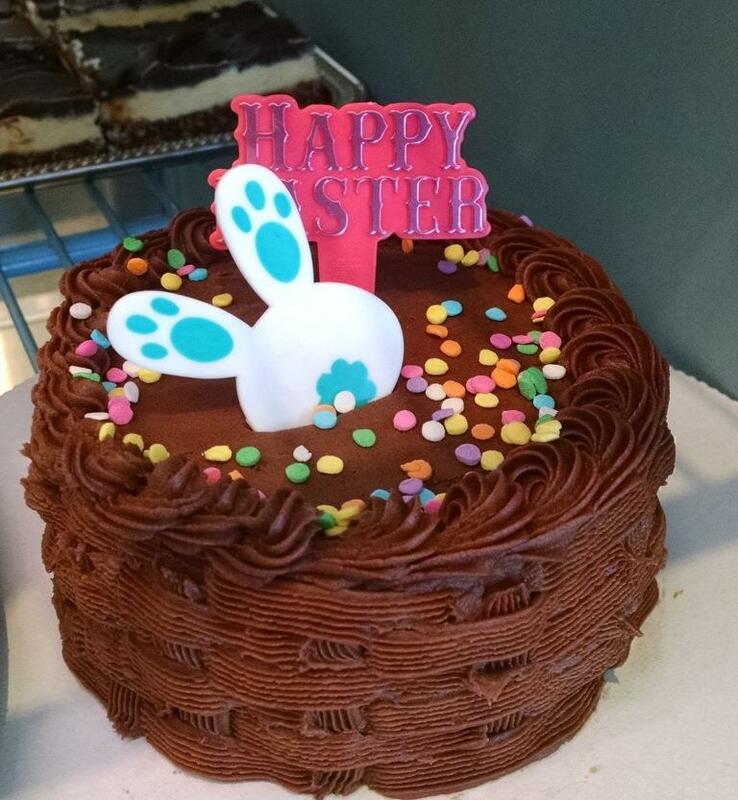 The design on the chocolate cupcakes was perfect. They looked exactly like the Hostess cupcakes that you buy in a box. Exactly. Just gorgeous. Coming from New York as I do, the pizza was not the style that I prefer. However, this fresh-tasting artisan-type pizza is probably perfect for those who enjoy a little bit thicker crust and a spicier sauce. 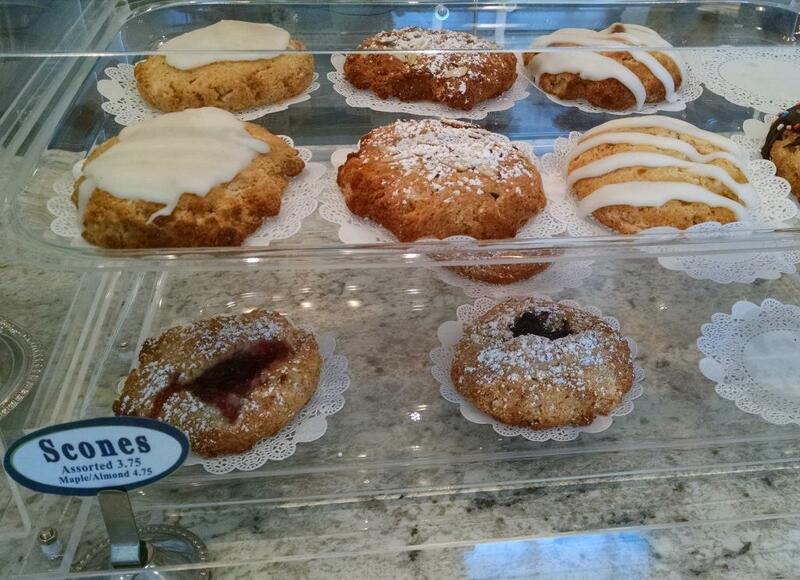 And what bakery would be complete without some holiday-themed treats? Cole’s also carries some items I don’t see too often. Gravy base mix was one. I don’t personally eat gravy (yeah, I’m a Yankee), but I know a lot of people who have had to give it up. Here’s a solution. 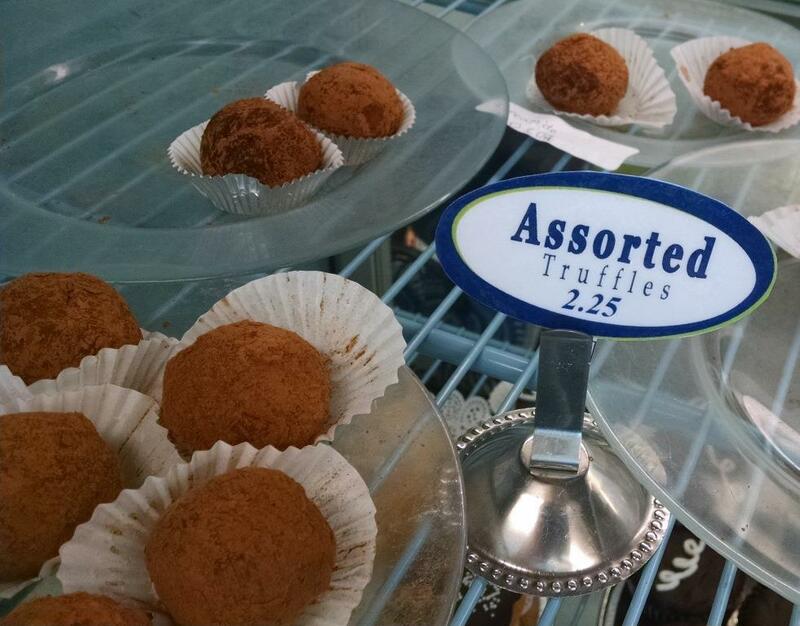 And truffles! 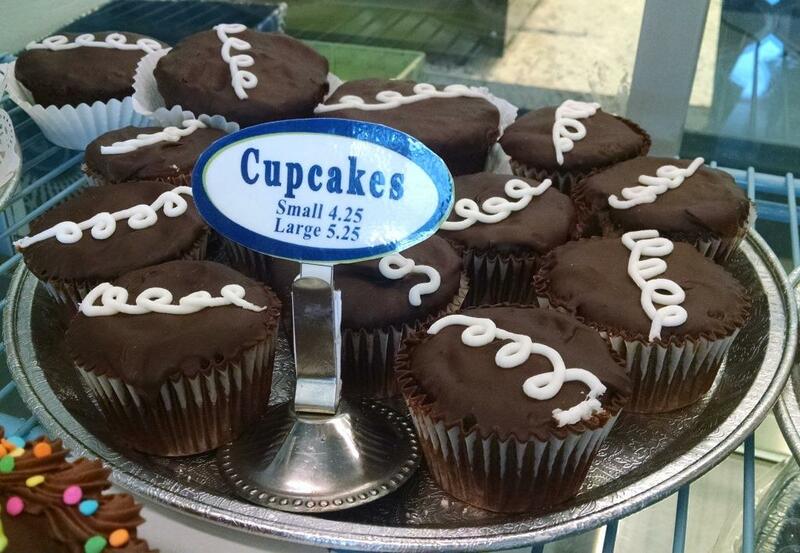 Nicely priced…and gluten-free? Crazy! 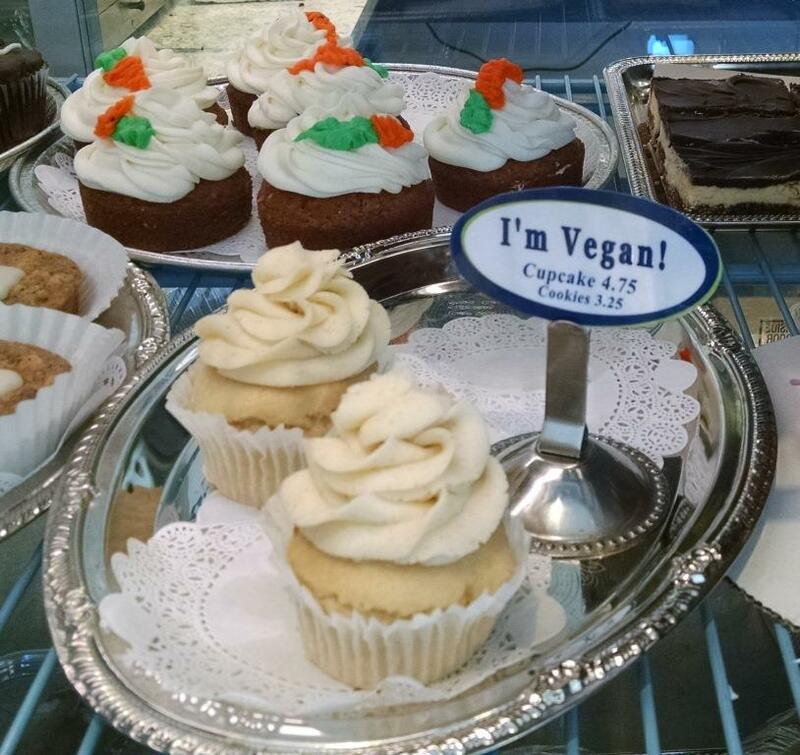 For those who are gluten-free and vegan, they even have goodies for you. 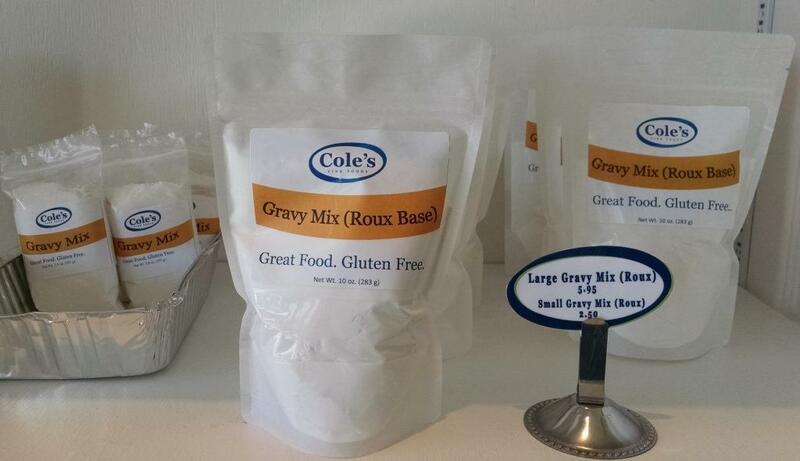 They even carry gluten-free soap and bath salts. 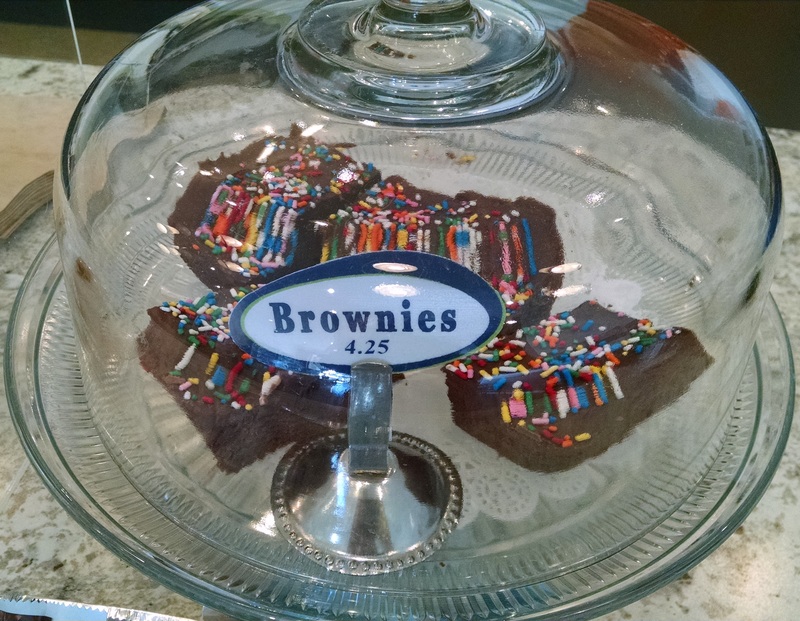 Of course, they also carry cookies, brownies, scones, cheesecake, and other goodies. The entire store had such a wonderful ambiance. 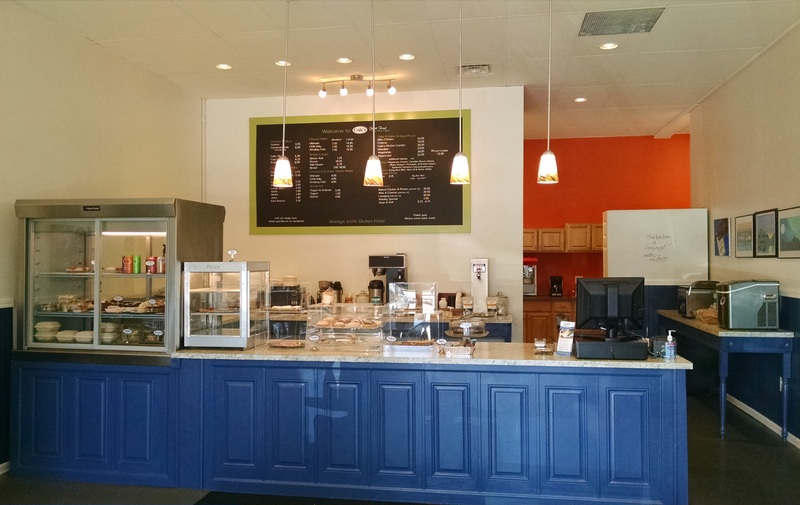 It was super clean, and reflected the upbeat, friendly demeanor of its proprietor, Jeanine. It really was a pleasure being there. Jeanine takes great pride in everything they produce there and is very enthusiastic about sharing information about the ingredients they use. I was extremely impressed when she told me about labor that goes into their gluten-free lasagna. Not only do they exclusively use grass-fed beef, but they actually purchase the entire side of beef and create their dishes from that. 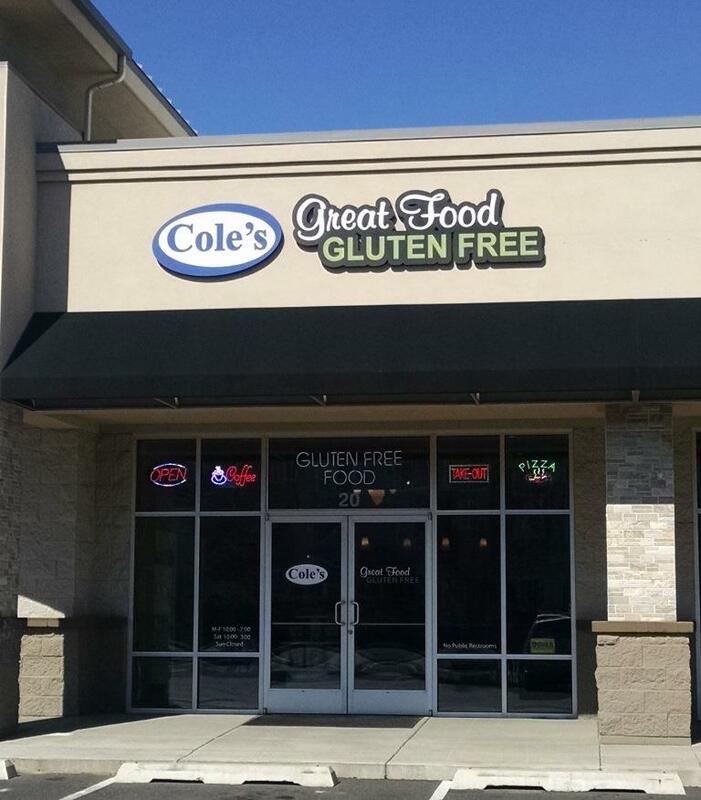 Cole’s Fine Foods of Spokane is conveniently located on Holland Street, sort of across from WalMart, just seconds away from Routes 2 and 395. Perfect for stopping and picking up snacks on your way up to the wonderful wilderness. If you visit me, you better not come empty-handed. Even if you are not coming to bring me gifts or buy my books or even if you are like K. S. who? you should stop into Cole’s anyway. I promise you you will not regret the visit. And for those of you who don’t live in the awesome Inland Northwest, I bet they will ship for you – and it will be so worth it!